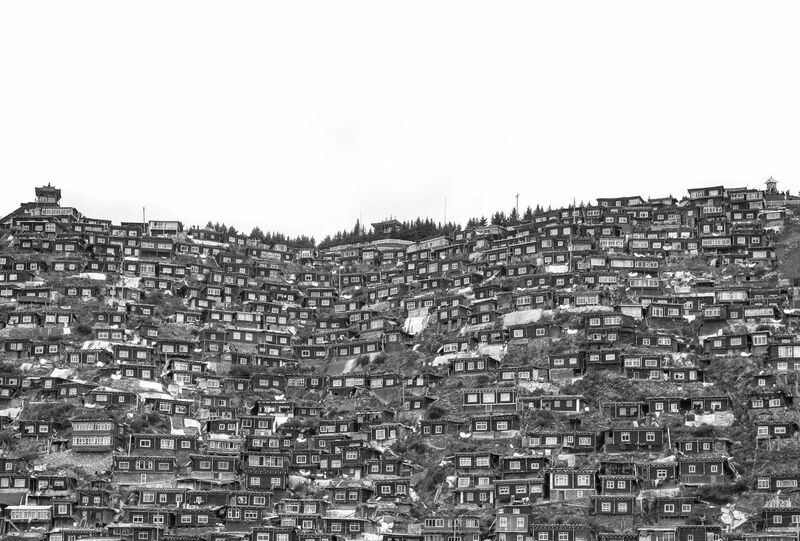 This exhibition takes us to the remote Tibetan Autonomous Prefecture in China to document the life and changes of two unique, self-built settlements, at a time of unprecedented urban redevelopment. 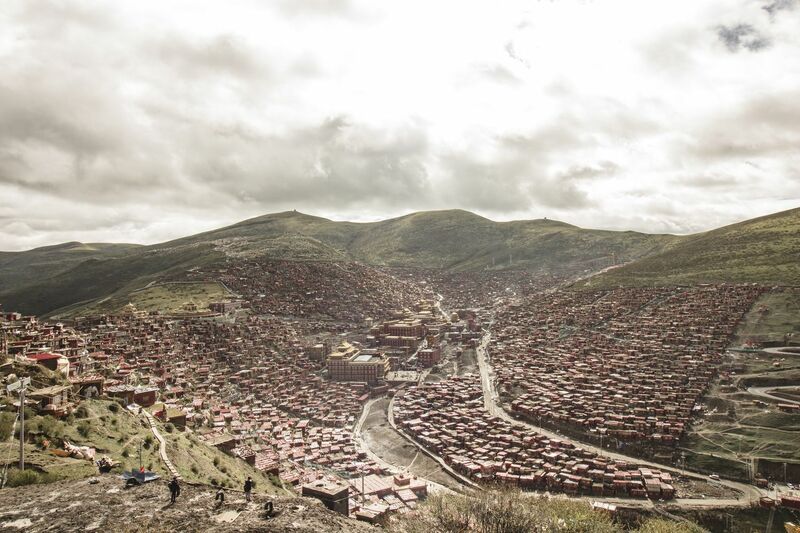 Larung Gar and Yarchen Gar are the two largest Tibetan Buddhist centres of learning in the world. 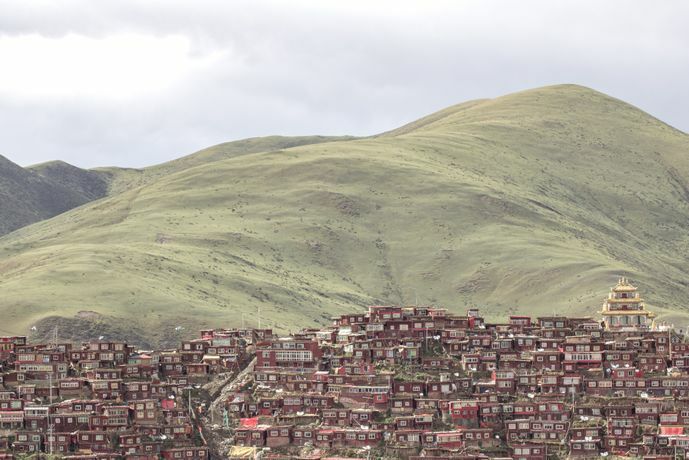 Both are characterised by an incredible urban sprawl of self-built homes, constructed by the monks and nuns that move to live and study in the settlements. 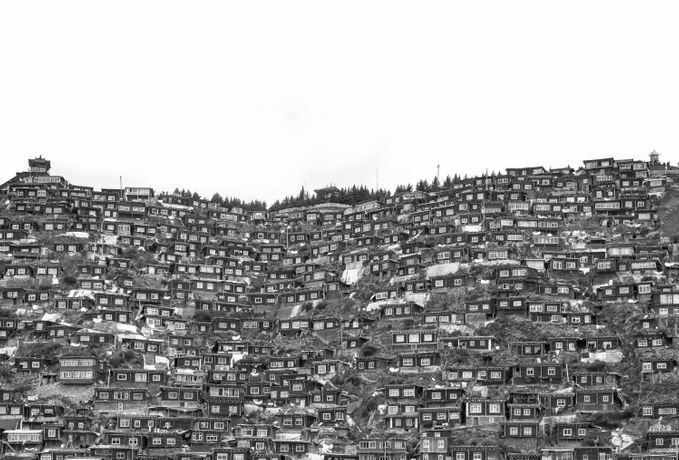 Surrounding the grander, beautifully adorned monasteries and teaching buildings, these simple homes have grown organically across the landscape to form dense urban fabrics, that although unregulated, have clearly defined edges and arteries. Existing right on the frontier of the politically sensitive Autonomous Tibetan Prefecture within Sichuan Province, China, both institutes have recently been closed off to foreigners, and are undergoing intense redevelopment and modernisation by the Chinese government. 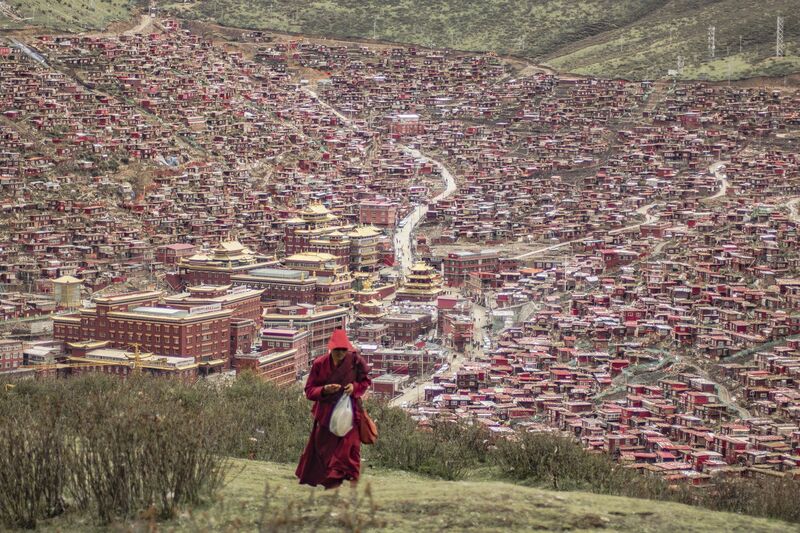 As swathes of the previously unregulated built environment are transformed forever, the monks and nuns go about their daily life, seemingly impervious to the changes around them. The dedication of routine in Tibetan Buddhism (through repeating cycles of mantras, meditations, pilgrimages and prayer wheel laps) is something that can be seen as an ever-constant in the dramatically altering physical landscape of both institutes. 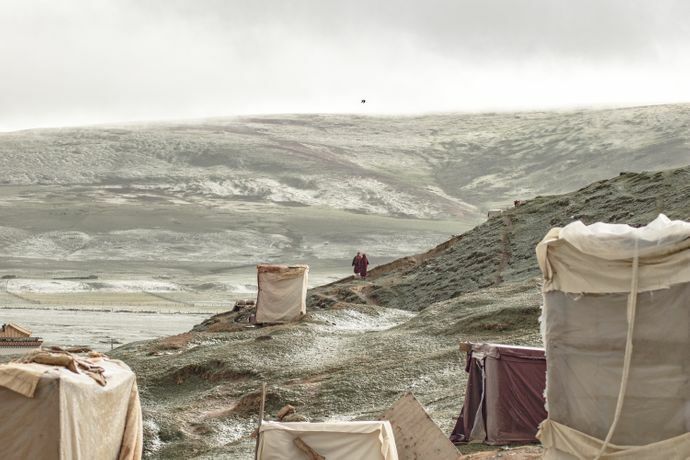 This exhibition documents the space and daily life within the academies at the beginning of this unprecedented state of transition. The exhibition runs through the first week of the Chinese New Year, (February 7 – 13) and is open daily from 11am – 6pm.